There is one weapon that could instantaneously cause the end of the world as we know it in America – an electromagnetic pulse attack (EMP). The Blaze TV recently focused an entire segment of the For The Record show on the ever-present dangers of an electromagnetic pulse attack – a high-intensity burst of electromagnetic energy caused by the rapid acceleration of charged particles. It would be detonated high above cities via a missile, frying the power grid. Some believe an EMP attack would cause hundreds of thousands of deaths immediately when airplanes fall from the sky due to control panel failures. Civil unrest also would occur quickly once citizens are faced with a lack of water and empty grocery stores shelves. The EMP Commission warned about both scenarios. Senior military personnel, lawmakers, intelligence analysts and government officials believe the Obama administration is not taking the threat of an EMP attack seriously enough, according to The Blaze TV special. 9/11 was a wake-up call that enemies of the United States were looking to launch massive attacks. What if the government in North Korea or Iran really thought that the world would be so much a better place and that they themselves would be so much more likely to go to heaven if they could just kill as many Americans as possible? These guys lust after mass destruction. Woolsey added the federal government was not seeing the big picture clearly. The former CIA director said that both China and North Korea present problems that the United States has still not fully grasped. He considers the rogue nation of North Korea extremely dangerous. Heritage Foundation defense and strategic analysts urged Congress to develop, test and field US defenses against EMP attacks, including enhanced ballistic missile defenses able to counter short-range missiles which carry EMP warheads. Detonating a ballistic missile with an EMP head while still at a high altitude would allow energetic particles “released during the explosion” to “disable, damage or destroy all unhardened electronic devices within the line of sight of the detonation,” the analysts said in a report. A rogue state would not need a long-range ballistic missile to deliver a nuclear warhead. Even short-range ballistic missiles carrying an EMP device or a nuclear warhead launched from a ship off the U.S. coast could impact millions. Today, over 30 countries, including Iran and North Korea, possess ballistic missile capabilities. When Newt Gingrich addressed members of the House Electromagnetic Pulse Caucus, he warned those in attendance than an EMP attack could “end it all” in America. Gingrich detailed how the fallout from even a high-altitude EMP nuclear blast could destroy the power grid and a multitude of electronics on the ground in the near vicinity. 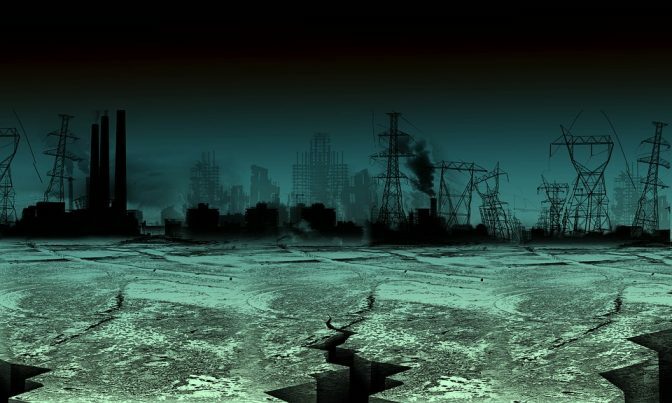 This could be the kind of catastrophe that ends civilization – and that’s not an exaggeration. The reason I began focusing on this a decade ago is there are very few events you can’t recover from. You can recover from 9/11, you can recover from Pearl Harbor. This is really different. This creates such a collapse of our fundamental productive capacity that you could literally see a civilization crash and tear itself apart fighting … internally. The primary avenues for catastrophic damage to the Nation are through our electric power infrastructure and thence into our telecommunications, energy, and other infrastructures. These, in turn, can seriously impact other important aspects of our Nation’s life, including the financial system; means of getting food, water, and medical care to the citizenry; trade; and production of goods and services. The recovery of any one of the key national infrastructures is dependent on the recovery of others. Do you think the United States should do more to prevent an EMP attack and a scenario often known as a TEOTWAWKI (the end of the world as we know it) event?